ABB, a pioneering technology leader, will be presenting its digital substation concept at the 13th GCC – CIGRE International Exhibition and Conference taking place in Oman from October 16 to 18. “Changes in the way the transmission infrastructure is operated means that customers need more intelligent management of supply and demand,” said N Venu, senior group vice president Power Grids Division, South Asia, Middle East and Africa, ABB. “This requires sophisticated monitoring, communication and control systems across the entire power value chain. It calls for a smarter power system that makes greater use of digital technologies. “The collection and evaluation of condition data from primary equipment like transformers and high-voltage equipment, with software solutions like MicroSCADA to ABB Ability Asset Health Center, will make it possible to operate and maintain components of our power grid more efficiently,” added Venu. 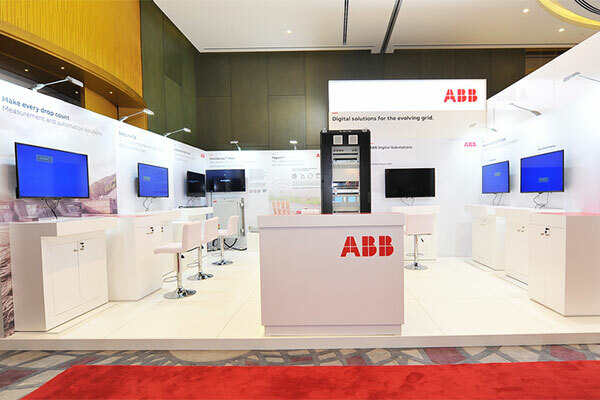 ABB technology is driving a digital revolution in power supply, with a growing portfolio of products to help power providers meet the world’s increasingly complex energy requirements. From digitally enabled transmission and substation hardware to the software to manage, run, and optimize it, ABB solutions are helping to make power distribution smarter, safer, and more efficient. “ABB is already involved in most of the regional renewable projects, including the Mohammed bin Rashid Solar Park in Dubai, when completed by 2030, will be spread across a 70 sq km area, making it the largest single-site solar project in the world with a capacity of 5,000 MW,” said Mostafa AlGuezeri, managing director, United Arab Emirates and Gulf countries, ABB.